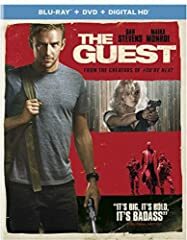 Bloodbath and Beyond reviews the movie The Guest directed by Adam Wingard and starring Dan Stevens, Sheila Kelley, and Maika Monroe. The guest is devinitly no horror. By all it’s genres it is not that. Not saging its not fckn Great! Yo, I really enjoyed this movie. Def legit. I feel it’s pretty underrated. I plan on buying it on blu ray soon. You’re next was legit also. The diner scene towards the end had me and my uncle cracking up. I stopped watching the film, when the characters got stupid. I started thinking, they deserve whatever this guy has in mind cause they are being so dumb! I thought the acting was good but unless I’m watching a slasher I don’t like watching dumb characters. This is America. You can get a gun and bullets in a Coke machine. If someone asks in a shady way, they are 100% criminals. jay are you possessed in this video what the hell is going on with your eyes? I like the East eggs to Halloween 3 in it. The movie kind of ruined Dan Stevens for me as when I watched Apostle I was expecting him to go all The Guest mode in it. Awesome freaking movie. I’ve seen this close to a dozen times. Never gets old. 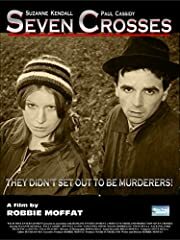 Have you seen the movie. “68 Kill” ? 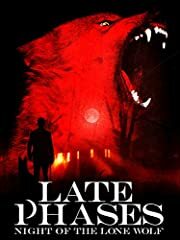 That is a nice thriller/ mystery. I loved Wingard’s first few movies. 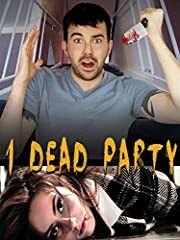 I thought he would be the next great horror director but I wasn’t a fan of ‘Blair Witch’ and he did that awful ‘Death Note’ adaptation. damnit, you guys always have me adding new movies to my list. So underrated. The soundtrack is amazing.